Molefi K. Asante , It's Bigger Than Hip Hop: The Rise of the Post-Hip-Hop Generation. Join Pyramid Books and AARLCC as author M. K. Asante launches this year's Kwanzaa Celebration. 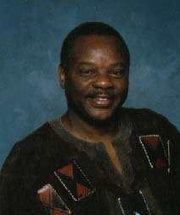 Molefi Kete Asante is currently considered a "single author." If one or more works are by a distinct, homonymous authors, go ahead and split the author. Molefi Kete Asante is composed of 9 names. You can examine and separate out names.